At Sledgehammer Games, we're dedicated to making an impact within the video game community, as well as the community around us. On Tuesday, January 22nd we were given the opportunity by the SF Food Bank to donate our time to help feed those in need in the Bay Area. The SF Food Bank has a dedicated staff of 120 employees, 25,000 volunteers annually, and produces an impressive 100,000 meals per day. Our group was responsible for boxing up carrots, pears and beans and loading them on pallets to be distributed all over the Bay Area. 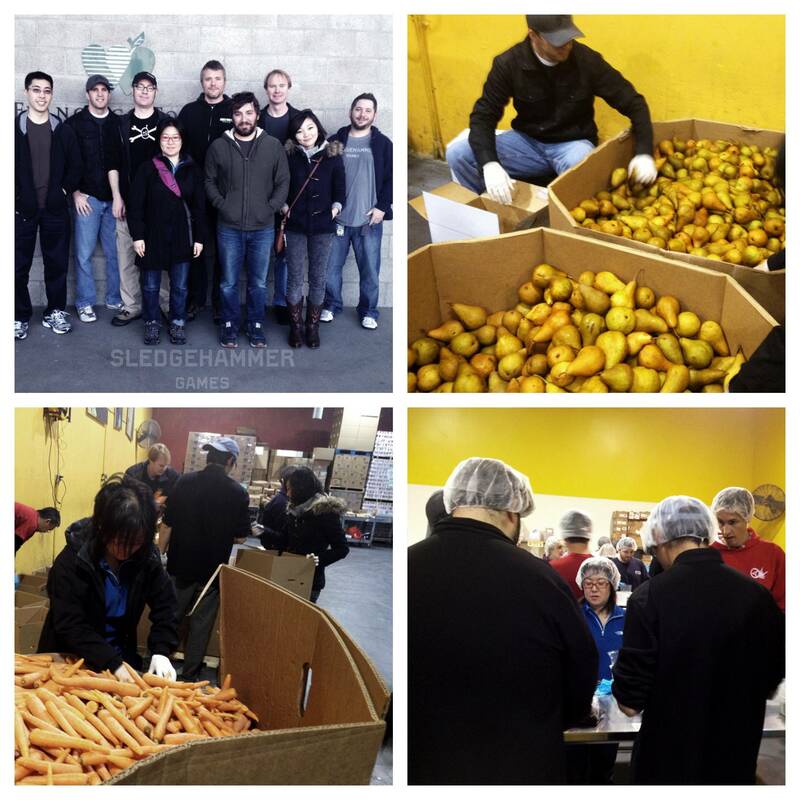 Sledgehammer Games is just one of the many organizations that donate time every year to their efforts of feeding the less fortunate, and we're extremely proud of the group of employees that donated their time this week.